Art and wine go together like peanut butter and jelly, of course if you’re me – wine goes with everything, including a PB&J. Few things make you look classier than swirling and sniffing the holy juice while studying fine art (unless you’re also wearing glasses), so let’s all raise our pinkies and toast to the one and only, Pablo Picasso. 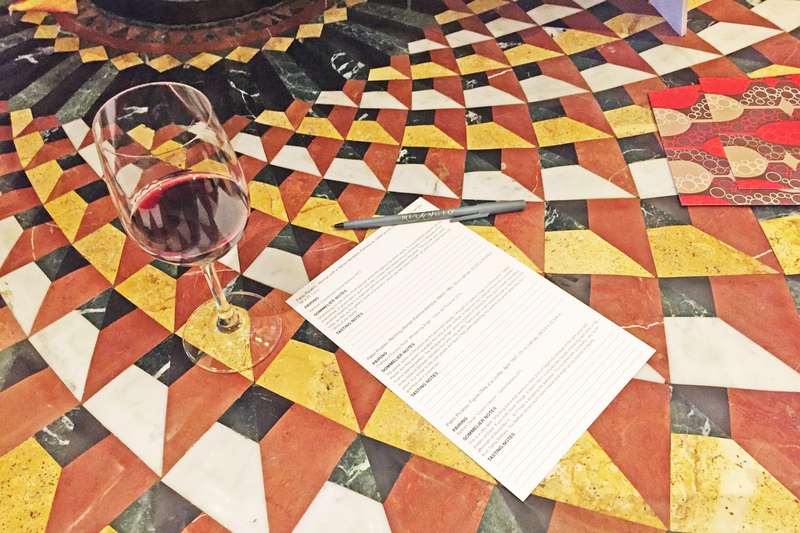 Your pairings come with notes on the paintings and wine selections from the Master Sommelier. 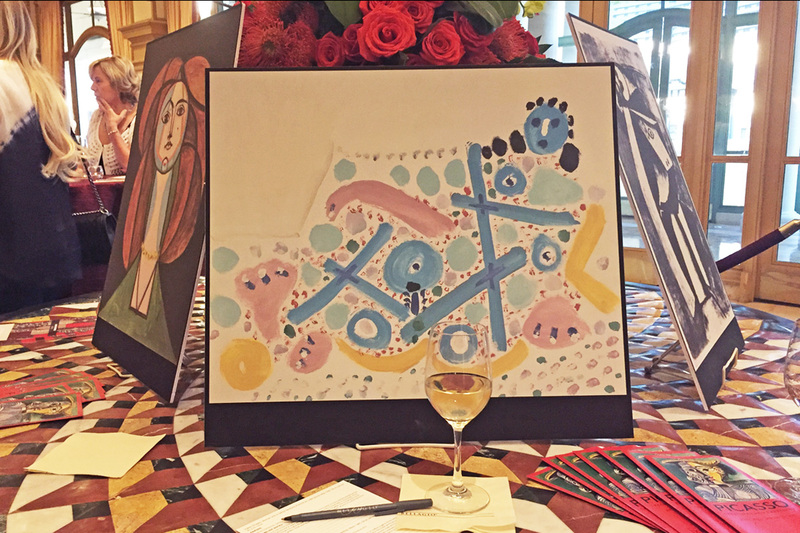 Once a month, the Bellagio Gallery of Fine Art hosts an art and wine night for the current exhibit (which is “Picasso: Creatures and Creativity”), with their Master Sommelier Jason Smith and the gallery’s Executive Director Tarissa Tiberti. It’s a pretty fun concept to match the mood or ambiance of a painting with the integrity of certain flavors. Makes me wonder if they could pair hors d’oeuvres too, but maybe I was just hungry because the event runs right in the middle of suppertime from 5 to 7 p.m.
“Woman with a Yellow Necklace,” “Reclining Woman” and “Figure” were chosen for this month’s event. I totally got the connection between a heavy, ashen painting being paired with a dark and brooding Syrah, especially since it was so reflective of wartime in Paris, the same period in which Picasso painted it. Another pairing included the bright colors and playful shapes with a light rosé that had notes of raspberry and strawberry. Some of the more figurative connections, like matching the universal likeability of a painting with a popular Chardonnay were a bit of a stretch for me. But hey – it’s art; it’s open to interpretation, right? Maybe I’m just not that civilized. It seems like quite the task to comprehend an artist’s message, then find a representative flavor that embodies those same feelings you get while looking at the work itself. But, I’m happy to report they did a pretty good job of pulling it off. The fun thing about this event is that it’s not the stuffy atmosphere you may expect from a world-class gallery like the BGFA. The banter between the staff and crowd is friendly and genuine. They even welcome and encourage guests to challenge each other’s opinions and interpretations of the paintings and wine selections, as well as the artist himself. Palates and palettes. See you next month, BGFA. Ultimately, you don’t have to know a damn thing about art or wine to enjoy yourself. So please – swirl, sniff, sip and repeat. I insist. Upcoming “Art & Wine: A Perfect Pairing” events are November 11 and December 9 from 5 p.m. – 7 p.m. Tickets are available through the BGFA and are $34 for members, $42 for non-members and include the tasting and admission. 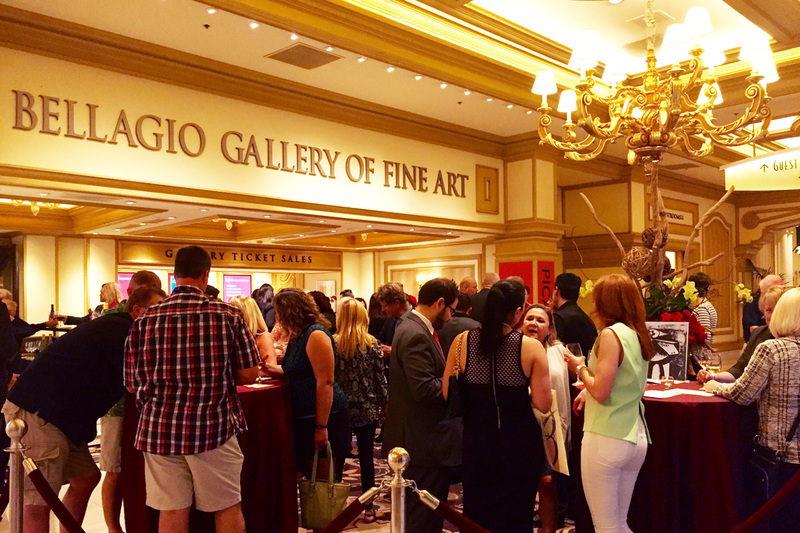 See more galleries and museums in Las Vegas.